Can vitamin C shorten a cold? 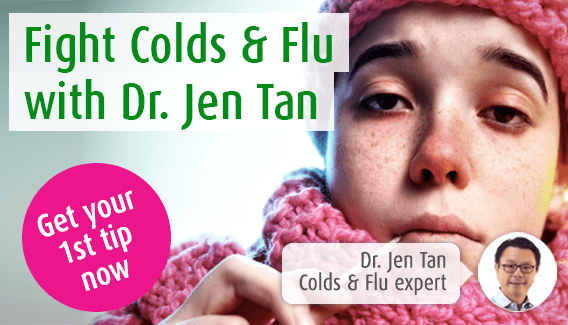 home > health > immune system / Can vitamin C shorten a cold? When a cold hits we tend to rely on the same remedies time and time again, be it cough syrups or a warm honey and lemon drink. However, should you be turning to vitamin C to address issues like a blocked nose or a sore throat? There is a wealth of research that suggests you should so here I take a closer look. Vitamin C is crucial for a range of different aspects of our health including maintenance of the skin, bones, muscles and joints. It also encourages the absorption of iron thus helping to transport oxygen around the body and keeping cells healthy. That’s not all though, it also plays an important role in metabolic reactions, the process by which the body gains energy from what we eat. Therefore, vitamin C supports immune function and, in turn, helps to defend against infection. Did you ever have a cold as a child and were told to eat more oranges? If the answer is yes then it’s probably this research that shaped your family’s response to your coughing and sneezing! This research suggests that scientists are now a little more skeptical of vitamin C’s effects but, that being said, there are still some positive results to be gained as well. A 2013 review of 29 randomized trials with 100,000 participants found that active people (including marathoners and those in the army) benefited from taking at least 200 mg of vitamin C every day. For them this cut the risk of catching a cold in half however, as with the study above, for the population as a whole vitamin C did not reduce their risk of getting a cold.3 Nevertheless, the same study found that taking 200mg of vitamin C daily reduced the duration of cold symptoms by 8% in adults and 14% in children – that equates to about one day of illness. When a virus hits it can deplete resources of vitamin C in the immune system which weakens its defense against this problem. Therefore, topping up your vitamin C levels could strengthen the immune system thus putting your body in a better position to fight of a cold virus. To combat colds with vitamin C you will have to consume it regularly and although your diet can help with this, sometimes a supplement can be of benefit too. However, there are so many products on the market that it can be challenging to work out which one you should try. Our Nature-C tablets are a great option as they are rich in naturally-occurring vitamin C that will help support immune function. The tablets are made from a wide variety of fruits including passion fruit and blackcurrant which are forms form of vitamin C that are easily recognized by the body. This makes them much more easily absorbed by the body than other products of this type. 1 Pauling L: Vitamin C and the Common Cold. San Francisco: WH Freeman, 1976.